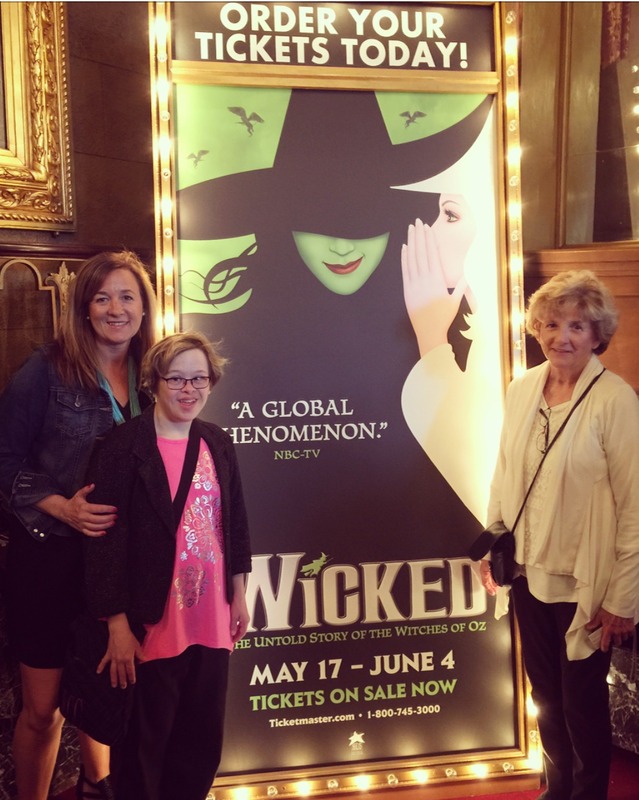 The Family Table with Genevieve: Weekend Wrap Up....Wicked! We made it through another busy week in May and had another busy weekend. Seems to be a theme...busy! Ella had a dance competition on Friday night. 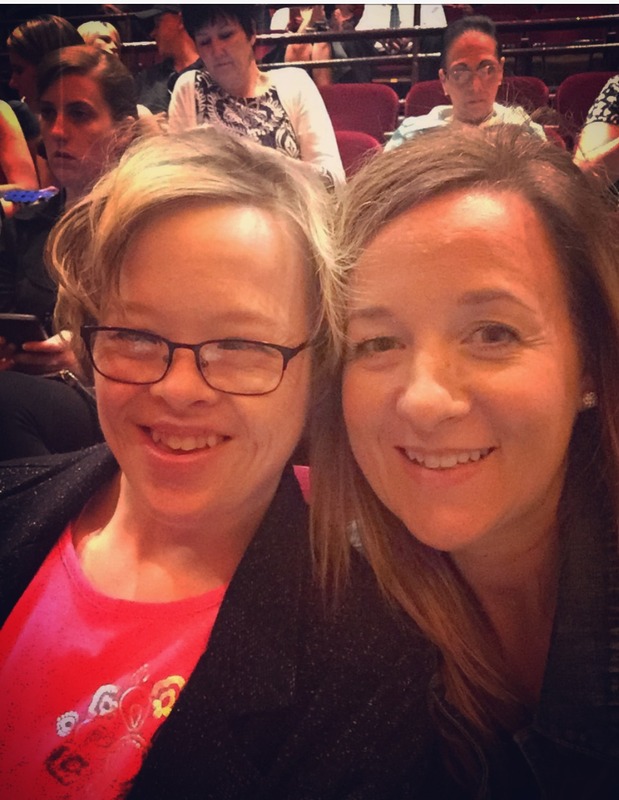 Her first dance was scheduled for 9pm and her second at 10pm. #pastmybedtime. I tell you it was tough on a Friday night, as we were all pretty wiped out from the week. I had to carry her to the competition! Ha! We all slept in Saturday morning and then we were off to baseball pictures and a soccer game. Luke spent time playing with friends in the neighborhood, and my girlfriend sent me this adorable pic. We are so lucky to be in such a great neighborhood! Love that the kids can just walk next door or down a few houses to play with friends. And my neighbors have helped me so many times with getting my crew on or off the bus when my work schedule gets hectic. So happy we have this neighborhood to call home! 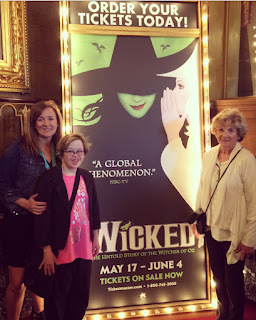 Saturday night I went with my mom & sister to see Wicked. What a great show!! It was my first time seeing it and it was just amazing. I would love to take the kids next time it comes to our area. I did not get home from the show until almost midnight. That's two nights in a row for me up until midnight. I am still tired! Sunday was a funny day... it looked light it might rain all day so we were kind of hesitant to make any outdoor plans. Which was ok with me... a catch up day around the house was just what I needed. Luke got a new bat and practiced his swing in the yard before his game. And Maddie was an excellent retriever in gathering all the balls after he hit them! Luke picked bubble gum and spit out every piece of bubblegum! I mean when you think about it... why would you put gum in ice cream? It's frozen, so you can't easily chew it. And even if you could.. it's kind of awkward to chew gum and eat ice cream at the same time. What do you do when you get to the cone? Spit out the gum and eat the cone? Random thoughts, I know... but really whoever thought of this flavor? I think that was our first and last experience with bubblegum ice cream! So that's a little peek at last weekend. I am already looking forward to this coming weekend! A 3 day weekend to celebrate Memorial Day and hopefully kick off Summer! See you tomorrow for my monthly book review. There's always room for one more at our family table!